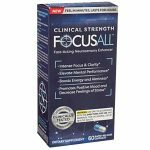 The price for the Focus All Neuro Enhancer (60ct) drops from $36 all the way to $19.99 at Supplement Hunt. This is the lowest price we’ve seen by $15. Deal Categories: Minerals and Vitamin Products and Post Workout Products.Stores: A1Supplements.com. 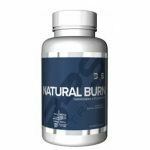 Buy 1 BPS Nutrition Natural Burn – 60 caps & get two free for $24.99 at A1Supplements . Deal Categories: Minerals and Vitamin Products.Stores: Muscle and Strength. BOGO FREE on the Cellucor DualBio (56 caps ea) for $17.99. Use coupon FDN6 during checkout. This is the best total price we saw by $43.